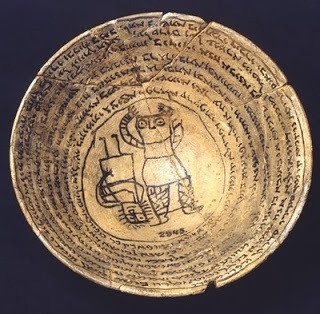 Aramaic Bowls known as magic bowls are a kind of amulet comprising of incantation written on earthenware that were used by various Aramaic speaking communities which lived during the Sasanian Mesopotamia period. 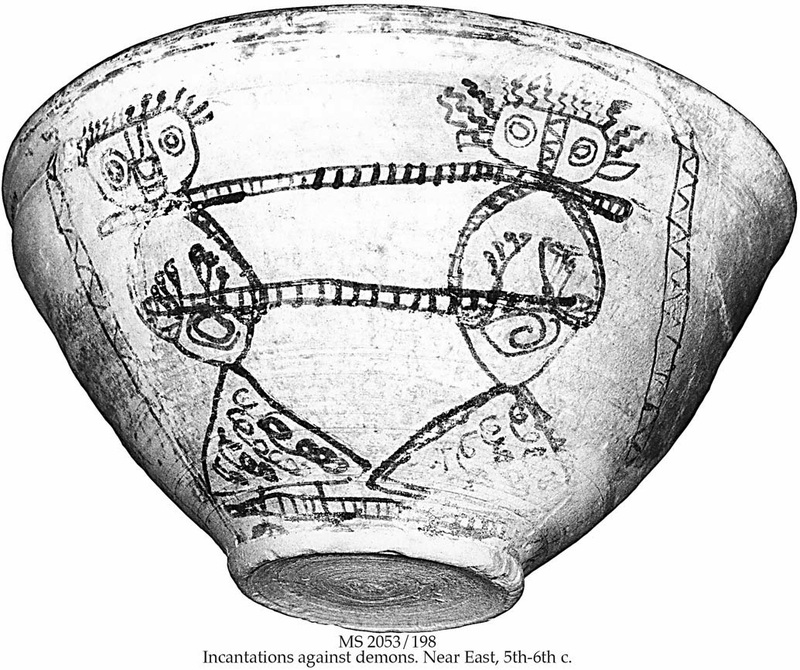 The corpus of these bowls is the most important source in obtaining information about daily beliefs and practices of the Christian, Jewish, \Mandaean, Zorastrian, Manichaean and Pagan communities on the eve of the conquest of Islam. These bowls are from Schoyen Collection with around 650 texts in different types of Jewish Aramaic, Syria, and Mandaic, all forming the largest collections found anywhere across the globe in which the volumes portrays edition of sixty four Jewish Aramaic incantation bowls together with translation, introductions, photographs, philological notes as well as indices. Moreover the themes also includes magical divorce together with accounts of the wonder working sages, Joshua bar Perahia, and Hanina ben Dosa and is one of the first multi volume project focused on publishing the Schoyen Collection of Aramaic incantation bowls. These incantation bowls were also known as demon bowl or devil trap bowl, a form or ancient protective magic found in present Iraq and Iran which were usually inscribed in a spiral starting from the rim and going to the center with most of the inscription done in Aramaic language. The bowls were placed facing downwards with the intention to capture the demons and were commonly placed under the threshold, in the corner of the homes of recently deceased person or in the graveyards and courtyards. The Aramaic incantation bowls are important source of information about Jewish magical practices especially the 80 Jewish incantation bowls found in Sassanid Babylon between 226-36 BC from the Jewish Diaspora settlement in Nippur. The bowls were used to protect them from evil influences like evil eye, Bagdana and Lilith where these bowls were used by the members of the Jewish community. On excavation one will find that practically every house in the Jewish home in Nippur was in possession of these bowls. There are at least 2000 bowls in existence in museums as well as private collections out of which less than 25% have been published and the majority of them are written in Aramaic dialect, a few in Pahlavi with a couple in Arabic. Besides these, a significant number of texts are also written in pseudo scripts and the kinds of Aramaic presented in prevalence order are Aramaic square script – 60%, Mandaic script- under 25%, and Syriac scripts under 15%. A very interesting aspect of the incantation bowls is the way the text is inscribed on the surface of the bowls in various ways, the most common being spiral which begins in the middle of the concave side of the bowl, moving in a clockwise direction towards its outer edge and the skill displayed suggest a need to produce manuscripts on conventional type of material like parchment. 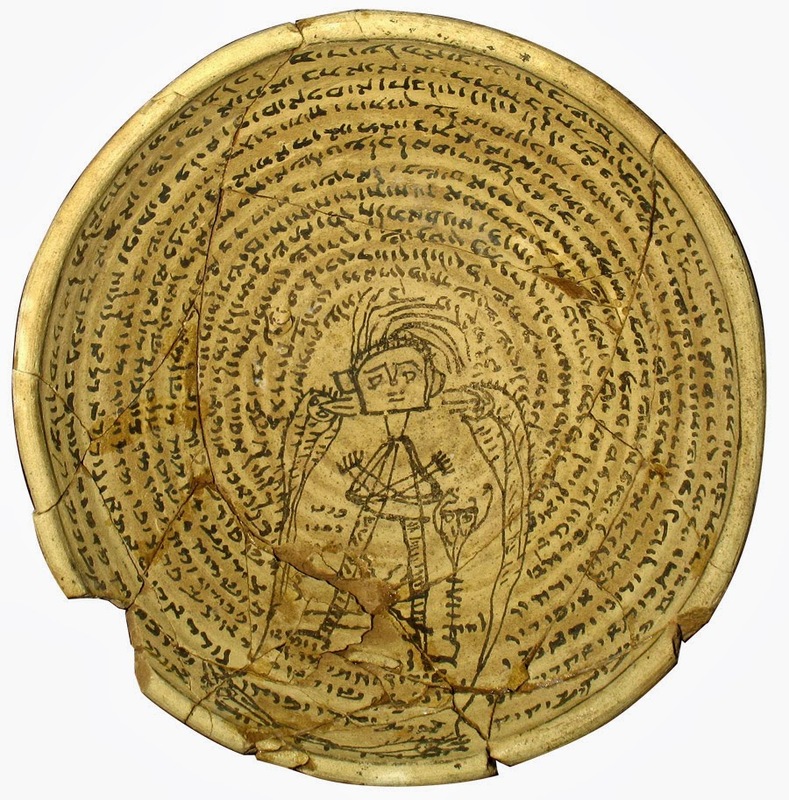 The Aramaic bowl text are intriguing and claim to protect their owners from various misfortunes including difficulty during child birth and rearing, poverty, illness as well as afflictions caused by supernatural and human foes. Moreover the texts also contain adjuration of supernatural beings to curb other beings or entities which may be the cause of adversity. 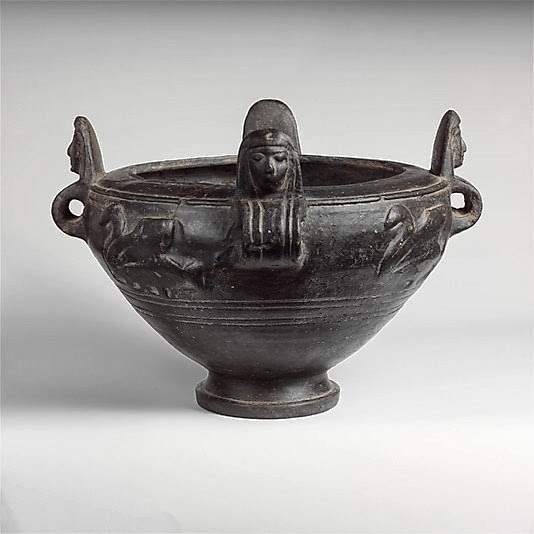 The literature of these bowls indicates a rich theatre where various communities of angelic and demonic kinds and individuals are portrayed in a drama of war and conflict. 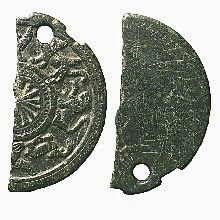 The incantations are also styled and structured consisting of various elements like opening formulae, sequence in mystical as well as liturgical styles, name invocation, biblical quotations, historical tales of magical incidents of well known figures like great sages and prophets who had successfully eliminated demonic forces. Often, the incantation in the bowls are accompanied with graphic images which are commonly depicted as bound demons while other types of image are a variety of animals and abstract magical symbols or characters. 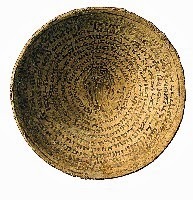 The Jewish incantation bowl texts are eclectic since they are of literary materials which can be traced to canonical literature namely the Mishna, the Old Testament, the order of liturgy or mystical literature while other element occurred seemed to be either culled or borrowed from literary works which are unknown and some which indicate that they are not Jewish. The individuals who commissioned the amulets are mentioned within the text making them a source for study of personal named in late antique Mesopotamia and a study of male to female ratios, the makeup and size of families together with households listed as well as the types of afflictions mentioned, contribute to the study of social history of these people, responsible in creating and using these objects. Majority of the names are Persian, indicating that non Jews obtained the services of Jewish amulet practitioners and there is an instance in which a client obtained bowls made by both Jews as well as non Jews while another case shows that there bows made by different faith groups were also found in the same house.